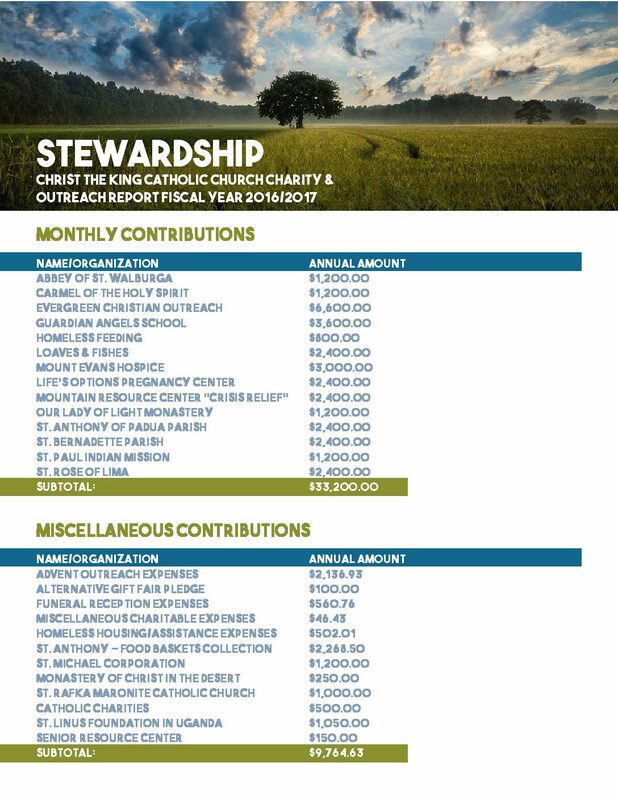 As a stewardship parish, Christ the King is committed to financial transparency. We also uphold and promote a standard of giving freely from our bounty to provide for the needs of those who are less fortunate. 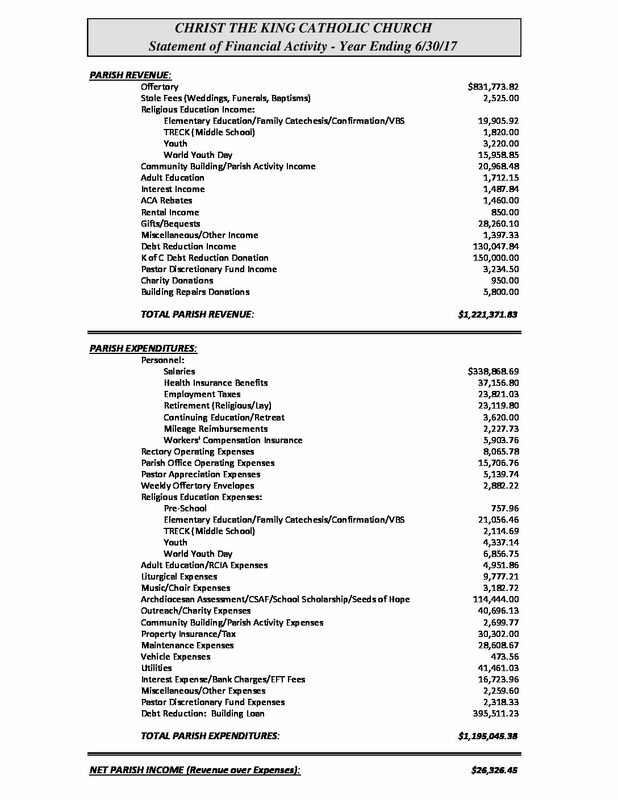 Below you can find our latest financial statements.